Chances are you have a few students in your classroom who are reading significantly below grade level. Maybe they are relatively new Canadians still learning the English language. Maybe their learning challenges have delayed their reading development. Maybe they just haven’t picked up the strategies and skills of good readers. Their achievement in all subject areas is affected and they present significant challenges for teachers. 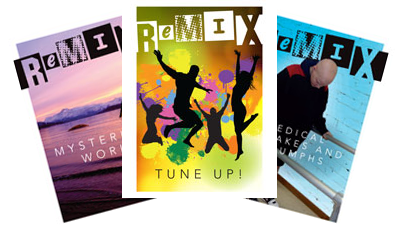 REMIX is a new and exciting series of resources designed for students in grades 7-8 who are reading at a grade 1-3 level. Covering a broad range of topics, these lavishly illustrated books answer the need for age-appropriate yet accessible resources. REMIX helps students to read more adeptly through highly engaging texts written at beginning and early reading levels, with strong visuals, vocabulary support, and context cues to promote engagement and understanding.